Leading manufacturer, supplier and exporter of Hip Prosthesis such as Bipolar Hip Prosthesis, Austin Moore Prosthesis, Gen-X Series Cemented Hip Prosthesis, Modular Hip Prosthesis, Total Hip Prosthesis, Bipolar Hip Prosthesis (Non Fenestrated) and many more items from Valsad. We are the leading and prominent Manufacturer, Supplier and Exporter of Modular Bipolar Head. 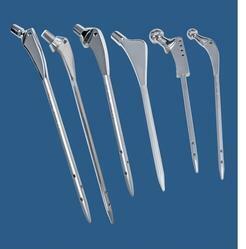 Certification An FDA, ISO 134852003 and ISO 90012008 approved product. 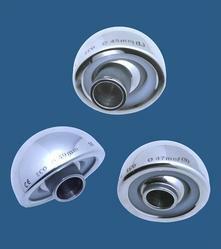 Size 120MM, 125MM, 130MM, 135MM, 140MM, 145MM, 150MM. 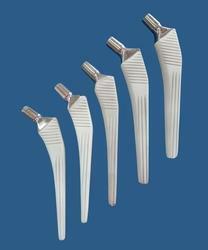 We are the leading and prominent Manufacturer, Supplier and Exporter of Platonic Uncemented Hip Replacement Stem. 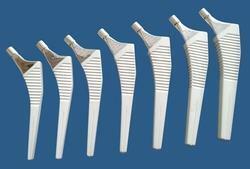 Looking for Hip Prosthesis ?